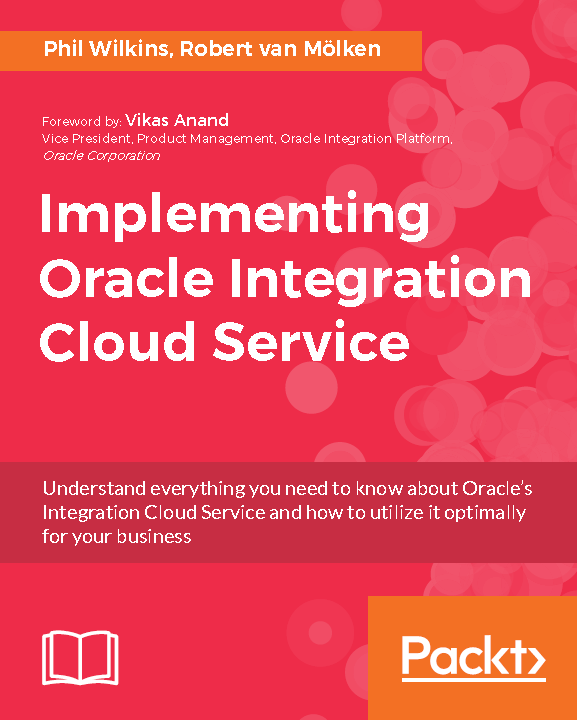 The authors of this book will be speaking at Oracle Open World 2017. Come hear us, and if you have a copy of the book, we’ll be happy to sign it for you. This session explores best practices developed by AMIS and Capgemini for Oracle Integration Cloud Service in real-world scenarios. The best practices cover areas including configuration management, continuous integration, and use of the new REPL tool. Learn the various options for exposing databases to Oracle Integration Cloud Service that will work for the execution agent, and practical techniques for working with very large WSDLs such as the Salesforce interface. This session is presented by the authors of the recently published book “Implementing Oracle Integration Cloud Service,” Robert van Mölken and Phil Wilkins.